Origin and Habitat: Copiapoa krainziana var. scopulina is endemic to a very small area in Chile, II Region Atacama desert, Antofagasta, north of Taltal, coastal mountains. Altitude: Around 500-600 metres above sea level. Habitat: This species strives fully exposed to the sun in extremely dry areas with very rare rainfall, on coastal hills (lomas costeras) and canyons on plains and on slopes facing north. They often grows mingled with clumps of Copiapoa cinerea f. haseltoniana and columnar Eulychnia. The dry season lasts 8-12 months and in some years it is possible to have no rainfall at all. Rainfall less than 100 mm/year. The plants obtain water mainly from condensation of coastal fog (camanchaca). By the middle of the morning however, the fog cover dissipate and sun breaking through the gaps warming the ground. Special attention needs to be paid to illegal collection because it is a very attractive species, even though pressure on the wild population has been reduced through seed availability and propagation of individuals through cultivation. 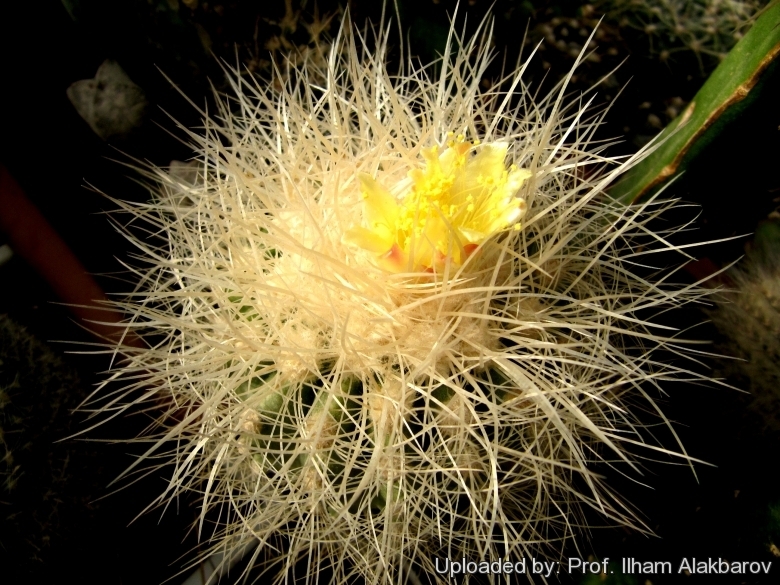 Description: Copiapoa krainziana var. 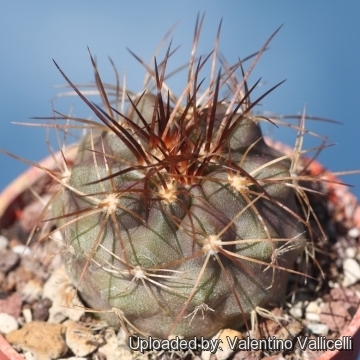 scopulina (often listed as Copiapoa scopulina) is a beautiful and popular species very similar, possibly only a variety of Copiapoa krainziana. It distinguish for having only 10-20 thin spines, however there is so much variation in spination that most authors choose to lump them together. Habit: Solitary or forming large clumps up to 1 m wide densely covered by spines. Spines: 10-20, densely distributed, needle-like, long, very thin, straight or curved, flexible usually white or greyish, occasionally brownish. Flowers: Clear yellow, 3,5 cm long.